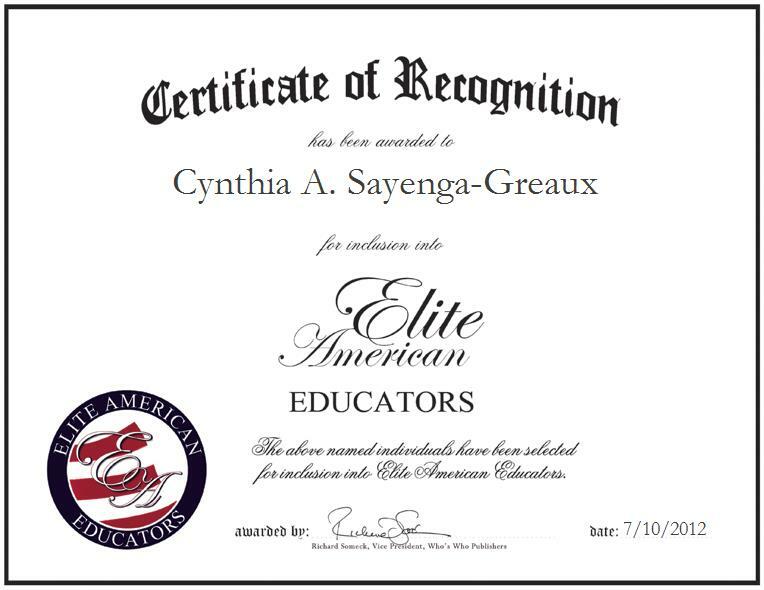 Cynthia A. Sayenga-Greaux is a teacher of English as a Second Language for the Virgin Islands – Department of Education. Specializing in English and Spanish translation, Ms. Sayenga-Greaux helps her students whose first language is not English to improve on and sharpen their academic skills. With more than 32 years of professional experience under her belt, Ms. Sayenga-Greaux shines as a luminary in her field, bringing forth a wealth of knowledge to her current post. She was recently named VIP of the Year by Worldwide Who’s Who, and she continues to strive for excellence in her every endeavor. She attributes her success to being compliant with the rules of the department of education, and to her ability to be firm and fair with students.